Adjacent to Beirut Marina, Zaitunay Bay is conceived as an urban beach extending the Beirut Corniche by a series of overlapping platforms reminiscent of sea waves, to provide outdoor spaces and public areas for artwork. 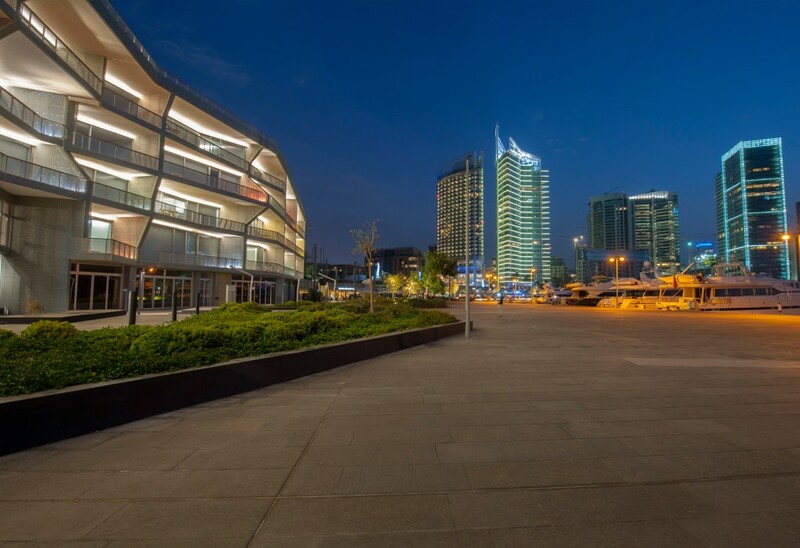 The quayside facilities on the south include 17 waterside restaurants, five specialty stores, two activity centers and public facilities, totaling 6,000 sq m of floor space. 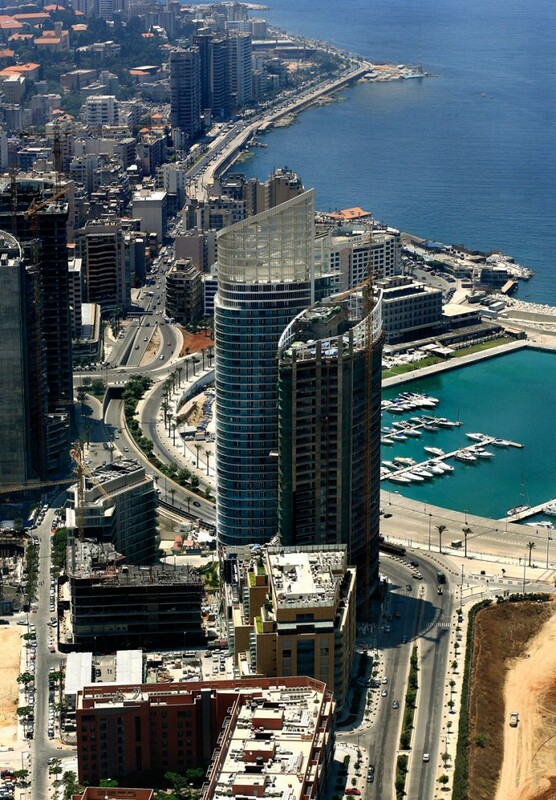 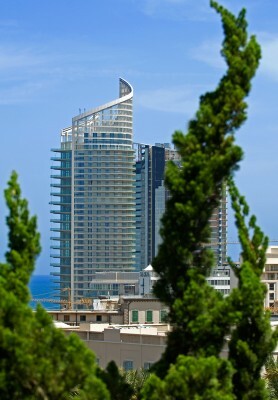 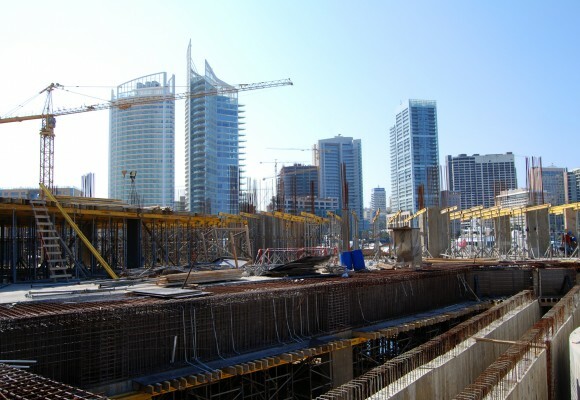 Stretched along the Beirut Marina, the one-story construction remains below street level, its roof forming a continuation of the Corniche. 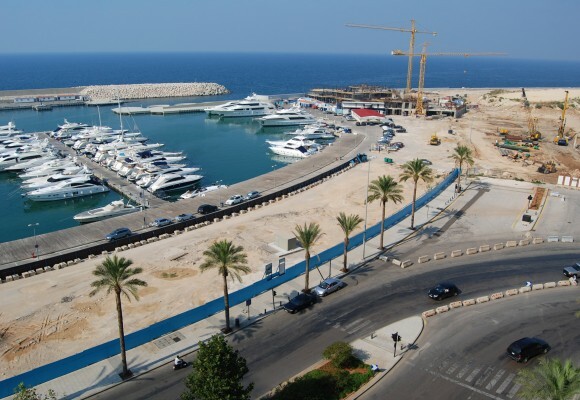 On the northeast is the apartment and yacht club building, expected to complete early 2014. 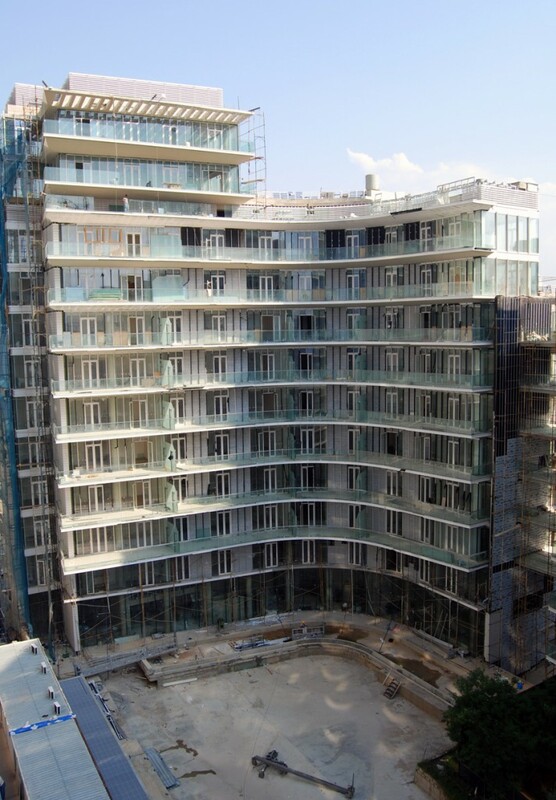 Its 14,000 sq m of floor space over four stories and three basements accommodate 53 serviced and furnished apartments plus a yacht club on upper levels, with commercial space on ground level.